There are all sorts of different types of window shades you can purchase if you’re in the market for shades. Whether you’re looking for rollers shades, sliding glass door shades or are looking for window curtains or blinds instead, lots of hardware stores offer all kinds of options that you can choose from. The type of window shades, blinds or curtains you choose for your home depends on the style you are looking for, the privacy you are trying to maintain, and, of course, your budget. Window shades vary in size, style fabric and texture. There are all sorts of different types of window shades you can choose from – if you know what you’re looking for. Roman shades are a popular type of window shade that are made up of one long piece of fabric. Roman shades carry horizontal folds, making it easy for you to lower or raise them. 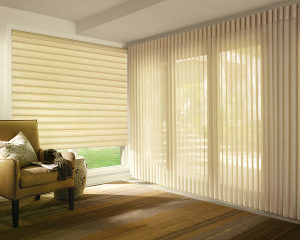 Pleated shades are like Roman shades in that they are made of one long piece of fabric. 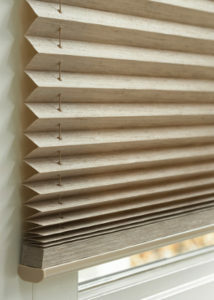 Pleated shades have more horizontal folds than roman shades do and are pulled tightly together. 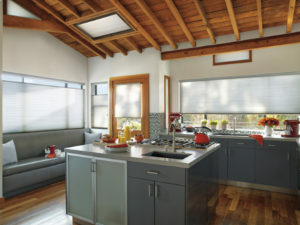 Cellular shades are a popular selection because they have a very unique design. The honeycomb shape in the fabric traps air coming from a window to insulate the room in the winter and keep it cool in the summer. Motorized shades are mechanically operated, and can be opened and closed with the simple push of a button. They are the perfect choice for anyone who doesn’t like the annoyance or hassle of pulling a cord to open and close windows. They are also very convenient and modern. 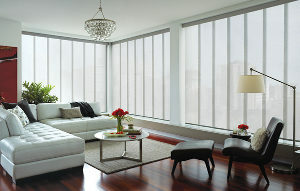 Solar Shades come in square designs and give you the option of determining how much sunlight comes into a room. Solar shades block out the sun and glare but do not block out the view. There are many different types of roller shades that you can use in your home. Roller shades are fairly inexpensive and are installed inside window casements. 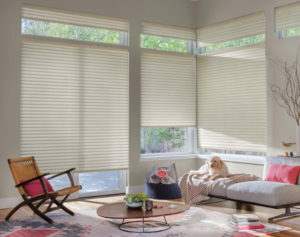 They can open or close with the pull of a cord, although there are some types of roller shades that come equipped with lifting mechanisms. 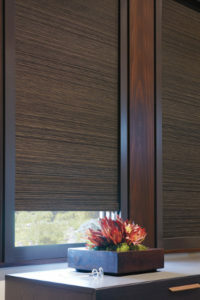 Roller shades can be made from a variety of materials including burlap, bamboo and other fabrics. You can purchase roller shades in an endless selection of colors, textures, patterns, and fabrics. Roller shades can come with or without a cord. Some come with a handle at the bottom that you can simply pull to raise or lower it, while others are motorized. There are many different types of roller shade systems that you can choose from to accommodate your lifestyle. Vertical blinds – Vertical blinds are the more popular choice for sliding glass doors as they are the only type of blind that can be both opened and closed horizontally. Sliding panels – Sliding panels are another popular choice for sliding glass doors, and have much more of an aesthetic appeal than vertical blinds do. They are available in many different materials and are great for functionality. 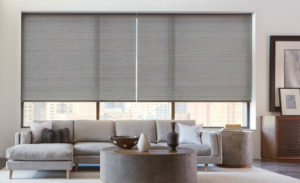 Sheer Vertical Shadings – Sheer vertical shadings combine the appearance of vertical blinds with sheer fabric which allows for better light control and a softer, more elegant appeal. If you prefer window curtains over shades and blinds, you’ll need to do some research depending on what you’re looking for. Pencil Pleated Curtains – Pencil pleat curtains have folds which are tightly gathered. The pleats are retained by a cord and they have a shape similar to pencils being laid side by side. Box Pleated Curtains – Box pleated curtains have deep folds with a pleated style and are perfect for formal rooms like dining rooms or lounge rooms. Eyelet Curtains – Eyelet curtains are contemporary curtains which have silver rings on the headers. These curtains hang comfortably and are extremely easy to open and close. Goblet Pleat Curtains – Goblet pleat curtains are perfect for any formal room with high ceilings. The pleats on these curtains come in the shape of a wine glass and are fully rounded. Pinch Pleated Curtains – Pinch Pleated curtains have a decorative and formal finish at the top. These types of curtains are best suited for formal rooms and are usually made with middle to heavy weight fabrics. Tab Top Curtains – Tab top curtains come with fabric loops at the top and must be hung on rods. Tab top curtains are informal, casual curtains and have a folded appearance to them. Slot Top Curtains – Slot top curtains, also known as rod pocket curtains, are curtains that are hung directly on a pole or rod. The pole usually slides between the fabric in front of the curtain and the fabric in the back and is then ruffled. Sheer Curtains – Sheer curtains are light and can sometimes be used as secondary curtains or over blinds. The sheer fabric that these curtains are made of is extremely lightweight and allows light to seep through it. 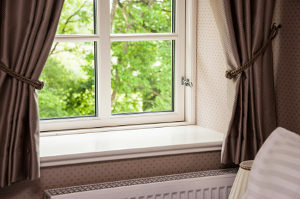 Curtains come in many different fabrics, shapes, styles, and colors. Curtains that come with rings or loops must be hung on curtain rods, while other types of curtains use curtain tape and run along tracks. Some curtains pool onto the floor while others are hung a few centimeters above the floor. The type of curtain you choose and the length you want it to be will depend entirely on the decor of your home as well as the style you are going for. 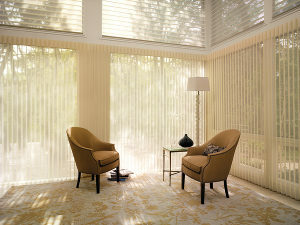 In North Carolina you can find all types of window shades from one special company. 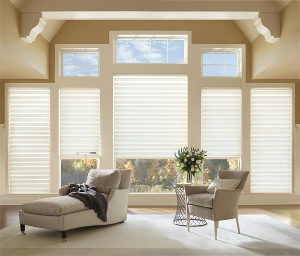 If you’re in the market for blinds, you can find them at All About Blinds & Shutters Inc. They have provided the best products and services for years. Many happy clients in the Triangle of North Carolina keep coming back to All About Blinds & Shutters over and over again. Call us at 919-544-6092 for quality products and installation at the best prices.